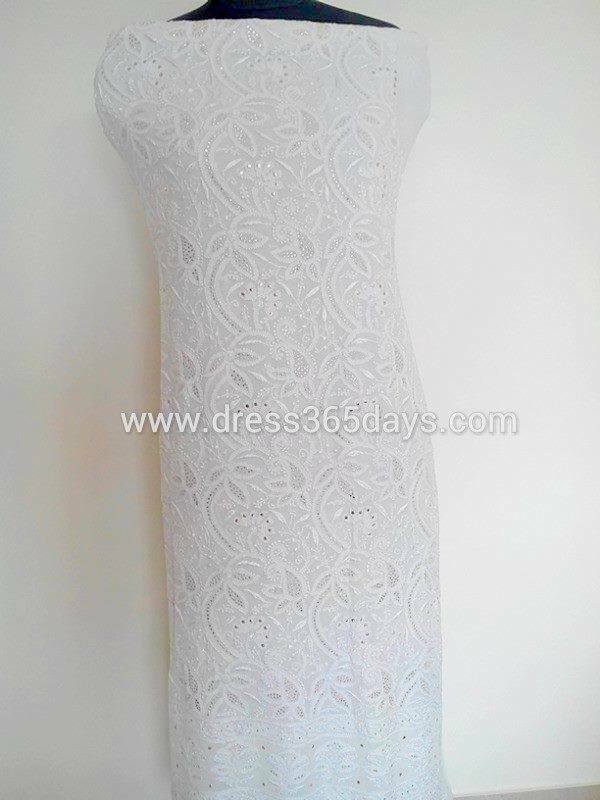 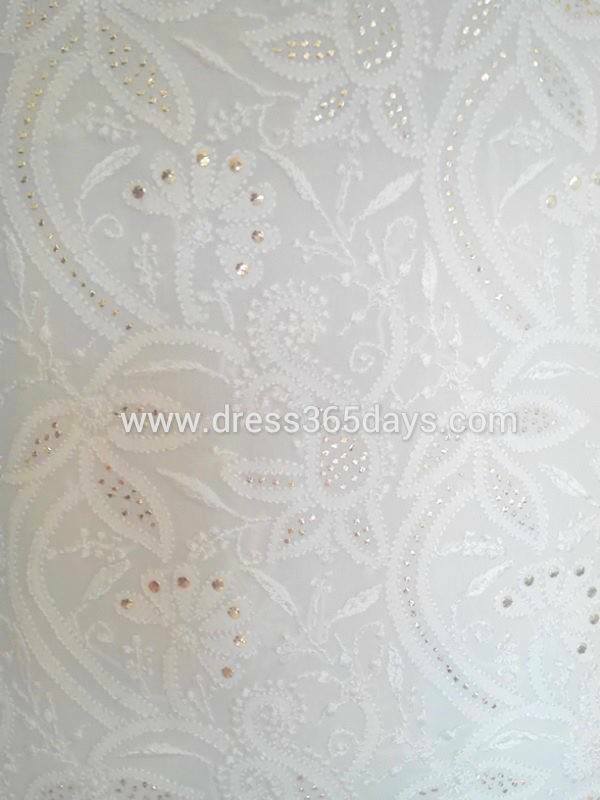 We have Come up with exclusive collection of Pure Georgette Dress Material in white Colour. 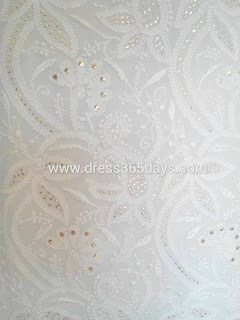 It has Intricate Chikankari Embroidery with Mukaish Work. 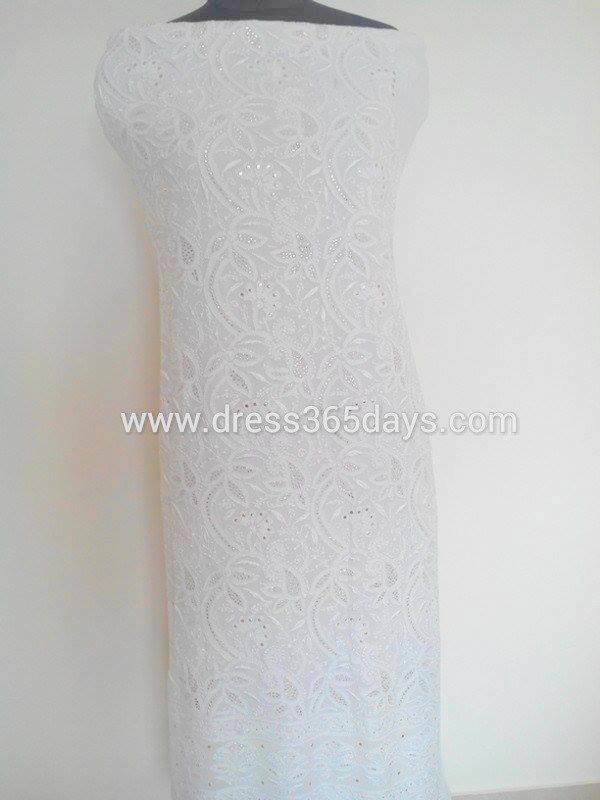 The dress takes around 2-3 months time to create. Be it wedding ceremony, small formal get together, just wear it and gear up to get all the appreciations. 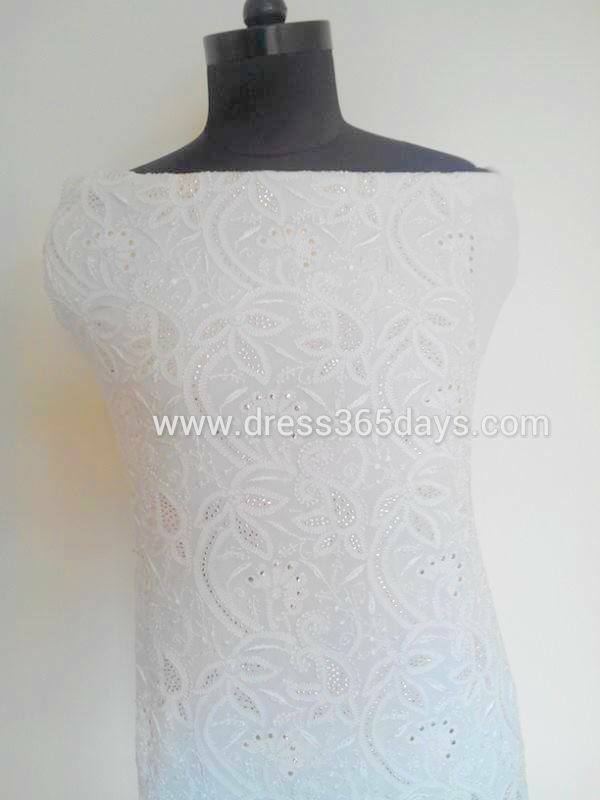 To give a modern look, you can dye it in any colour of your choice.